As many as 80% of people who have an amputation experience some kind of “phantom” sensation in their amputated limbs. However, up to half of those who experience these disturbing feelings do not receive any treatment for—or relief from—their pain. This makes phantom pain a chronic pain condition which needs to be addressed in order to improve the quality of life for those who have had an amputation. What Is Phantom Limb Pain? After a limb is removed, you may continue to feel it, as though it were still there. Phantom limb pain is not the same thing as stump pain, which is felt in and around the incision following surgery. Stump pain is localized to the amputation site, while phantom pain is felt in some part of the leg that is no longer attached. Many people describe burning sensations in their toes though they may be missing their entire leg below the knee. This can be a confusing and even scary sensation, leading some people to believe that they are losing their minds. The first step in treating phantom pain is to acknowledge that phantom pain is very common and very real. No one knows for sure why amputees have phantom pain, but a few possible explanations are widely believed to be true. Memory of Limb Pain: Some researchers theorize that after a limb is damaged beyond repair, the brain is “used to” feeling the pain. Even after the limb has been removed, the brain continues to sense the same kind of pain. It is like having a memory of the pain because the pain is wired into the brain. Nerve Bundle Stimulation: The severed nerves around the amputation site either misfire or are stimulated in some way, sending a pain message to the brain. These are the same nerves that used to reach all the way into the limb. Sometimes following surgery, these nerves form bundles called neuromas. When they fire, the brain interprets these signals as if the nerve were still intact, and “feels” pain in the toes. Rewiring of the Nervous System: There has been evidence that when a limb is amputated, changes take place in the brain and spinal cord that cause pain to be interpreted differently than before. It is not yet clear, however, if this is a cause of phantom pain or if this happens as a result of it. Regardless of its cause, phantom pain can be a debilitating condition. Pain is often described as burning, stabbing and throbbing—typical descriptor words for neuropathic pain. Phantom pain may happen in a continuous cycle, or it may be brought on by outside factors, such as temperature change, stress or stump irritation. Most people describe their phantom pain as if it were coming from the distal parts (parts furthest from the core of the body) of the amputated limb. In other words, feet, toes or hands. Phantom sensations are more common in the first few months after surgery than they are several months down the road, but they can happen at any time after an amputation. Like most chronic pain conditions, no single treatment approach works for everybody. Here are some of the most common approaches. Medication: Because it is considered a neuropathic disorder, antidepressants and anticonvulsants are often prescribed for phantom pain. NSAIDs, opioids, and muscle relaxants are also on the list of medications. As with other chronic pain conditions, finding the right medication can take time and patience. Sometimes successful phantom pain relief takes a combination of these medications. Mirror Therapy: Many therapists use mirror therapy in their treatments both for those with phantom limb pain and for those who have had a stroke. This usually involves placing both limbs in a mirror box, which makes the amputated limb appear intact. The individual is then asked to perform exercises with “both” limbs. This tricks the brain and effectively reduces phantom pain for some people. Further studies are needed to see if mirror therapy offers relief, though unlike many treatments, there is little potential for side effects with this treatment. Stump Stimulation: Using TENS (transcutaneous electrical nerve stimulation), applying pain-relief patches (such as the lidocaine patches available by prescription or over the counter) or rubbing the stump can relieve phantom pain in some people. Using hot packs and cold packs can work for some people. Providing an alternate sensation from the stump can interrupt pain signals. Cognitive Therapies: Some people find relief from their phantom pain through hypnosis, relaxation or guided imagery. These approaches can change the way the brain interprets phantom sensations, including phantom pain. Usually, more than one treatment approach is used to get phantom pain under control. Some people, however, may require more invasive forms of treatment. These include additional surgery to untangle nerve bundles at the amputation site, nerve blocks, stimulation of the spinal cord or the brain to change the way pain is interpreted and implantation of pain pumps that deliver medications directly to the spinal cord. As with other medical conditions, chronic pain affects our emotional lives as well as our physical being. Many people with phantom limb pain have found psychotherapy helpful in adjusting to their amputation and in learning many of the relaxation and coping skills which can reduce pain. In addition, talking to others who have faced similar challenges can be priceless, and there are several online support groups, support organizations, and Facebook communities dedicated to those who are coping with an amputation as well as phantom limb pain. 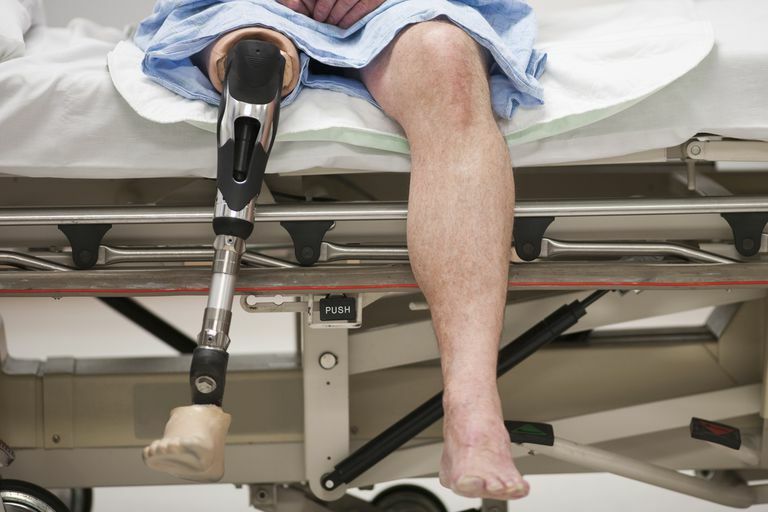 We've learned that a significant number of people who undergo an amputation live with phantom limb pain, and for those who do, there are many people who are not adequately treated for this pain. Chronic pain can affect every aspect of your life, impacting your job, your relationships, and your ability to enjoy your passions. There are now pain specialists who specialize in treatment difficult-to-manage pain such as phantom limb pain. As noted above, it can be a laborious process finding the right combination of treatments to get this pain under control, but with persistence, many people can live a much more enjoyable life after amputation. Some people have found that keeping a pain journal is helpful in learning what helps, and what does not, as various modalities are tried, as many of the methods may blend together as you look back. In addition to finding a physician, you can work with to manage your pain, check out these ideas on what you can do yourself to best cope with chronic pain. As a final note, there are many lifestyle habits which can make chronic pain worse, for example, both eating junk food and smoking can increase chronic pain. Taking the time to live healthy may not only lessen your pain but improve your general health as well. Aiyer, R., Barkin, R., Bhatia, A., and S. Gungor. A Systematic Review on the Treatment of Phantom Limb Pain with Spinal Cord Stimulation. Pain Management. 2017. 7(1):59-69. Alviar, M., Hale, T., and M. Dungca. Pharmacologic Interventions for Treating Phantom Limb Pain. Cochrane Database of Systematic Reviews. 2016. 10:CD006380. Barbin, J., Seetha, V., Casillas, J., Paysant, J., and D. Perennou. The Effects of Mirror Therapy on Pain and Motor Control of Phantom Limb in Amputees: A Systematic Review. Annals of Physical and Rehabilitation Medicine. 2016. 59(4):270-5. Trevelyan, E., Turner, W., and N. Robinson. Perceptions of Phantom Limb Pain in Lower Limb Amputees and its Effect on Quality of Life: A Qualitative Study. British Journal of Pain. 10(2):70-7.